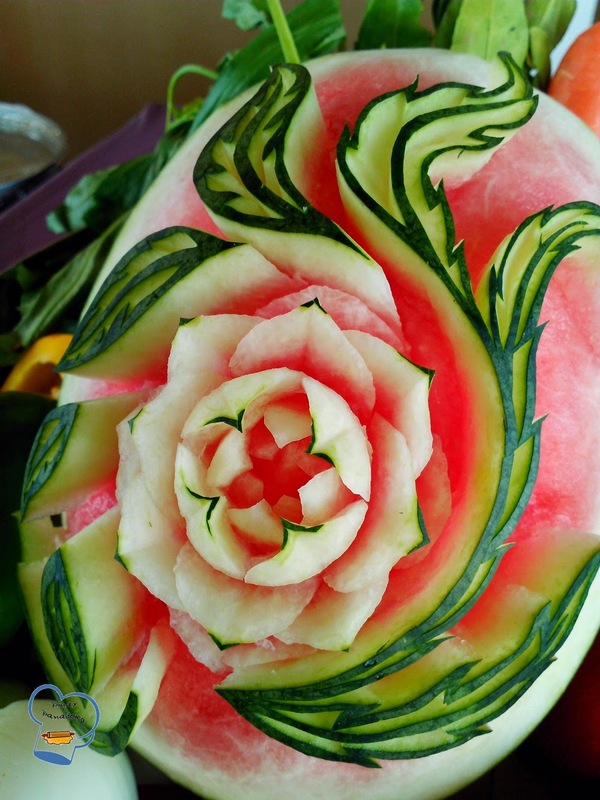 How much skills and patience are needed to carve a fruit so intricately? I wonder. 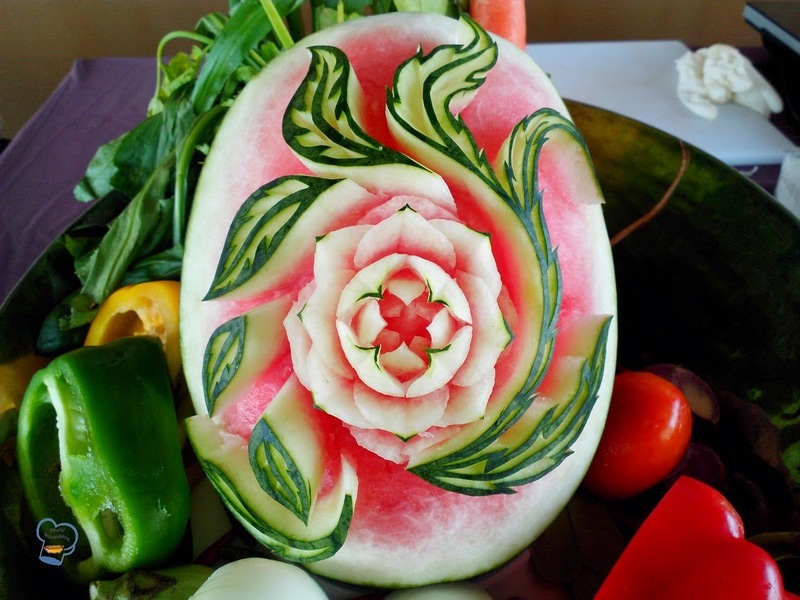 This watermelon carving was the center of a vegetable tray used during Thai cooking class at the resort. Another handiwork of the resort's sous chef. Since joining the team, the vast majority of the kitchen staff have taken some time to learn and even improve their carving skills. Some can now carve roses out of carrots and potatoes. It's a time- consuming activity but seeing the result is rewarding. I took the picture when cooking class was almost done so the tray wasn't as full but it was beautifully arranged. 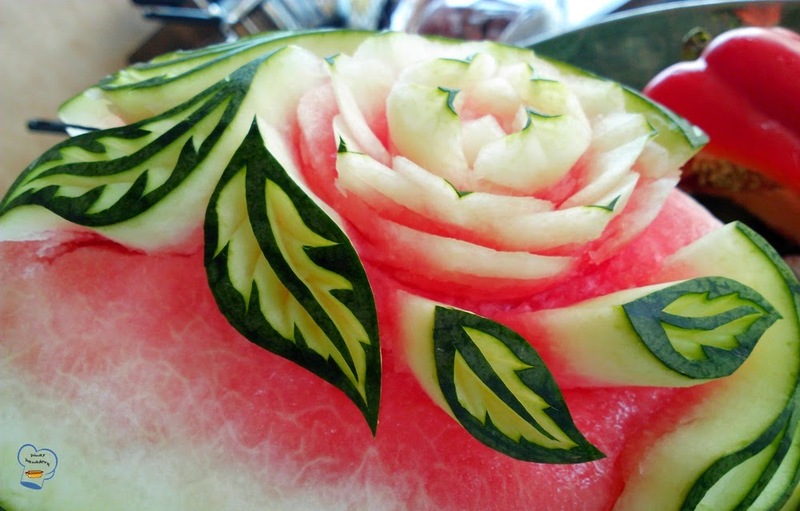 A closer look of the watermelon.